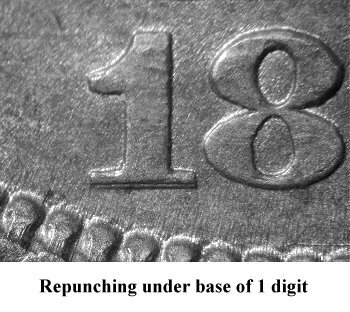 Comments: Repunching under the base of the 1 digit is the primary diagnostic for Variety 120. 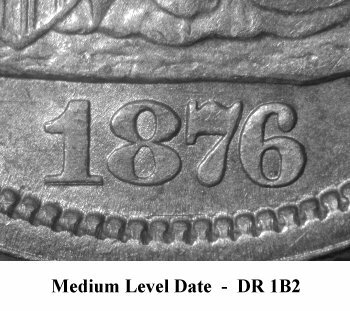 The date is evenly spaced between base and denticles. 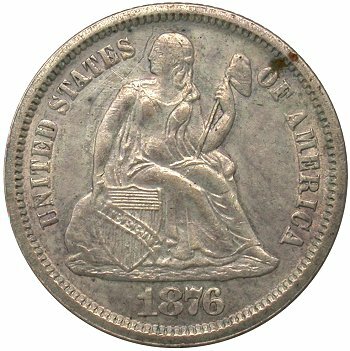 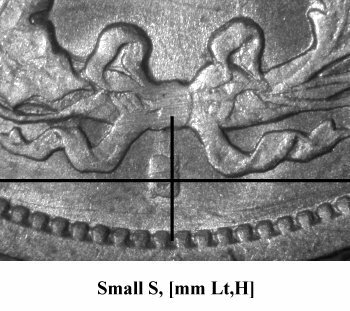 Reverse R is well struck on the plate coin. 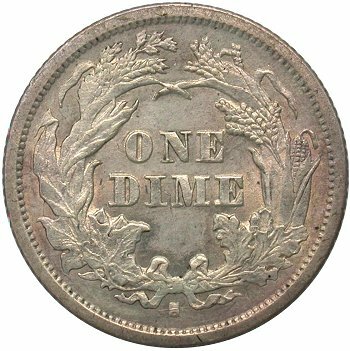 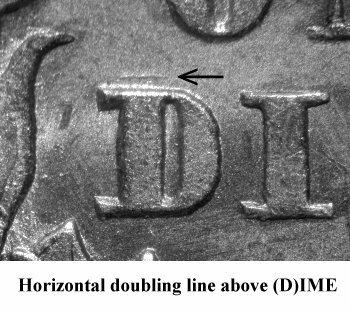 There is a horizontal doubling line about (D)IME.